The Toys"R"Us Geoffrey’s Birthday Club Just Got Even Better! There’s nothing better than seeing the look of excitement on my children’s face on their birthday. While all holidays are special, there’s something that makes it even more special and personal when it’s time for their birthday. Once special day that’s all about celebrating them! Andrea is turning 6, and she’s more excited than any other year! The list of gifts that she wants ranges from an iPad, Barbies, a Barbie Car, all things Crayola, and any and every girly think she sets eyes on! I felt overwhelmed just looking at it! Then, I remembered Geoffrey’s Birthday Club, and I knew I needn’t worry. This is the special club and Toys”R’Us, that allows parents to register their children’s birthdays and receive special birthday-month offers… in a big way! What’s even more exciting is that Toys”R”Us has recently gave the program a major refresh. 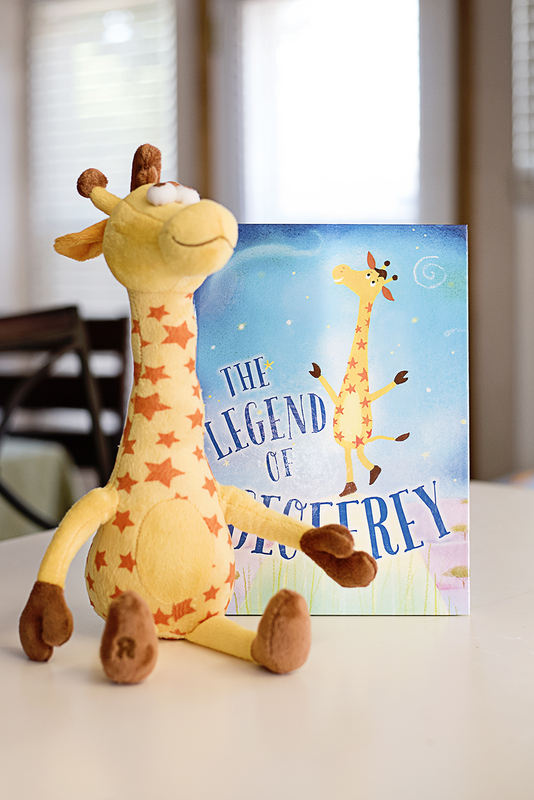 Children can now enjoy the book “The Legend Of Geoffrey” which tells how Geoffrey the Giraffe arrived at Toys”R”Us, how he got his stars, and why he loves birthdays so much! Not only does Andrea absolutely love reading about Geoffrey, it’s helped her get even more excited about her special day! What’s even more awesome is that Toys”R”Us has begun hosting monthly in store events for Geoffrey’s Birthday Club members who are celebrating their birthday! At these events, children will receive a complimentary “The Legend of Geoffrey” book, crown, balloon, and Geoffrey plush PLUS they’ll dance to Geoffrey’s brand-new birthday song in a conga line around the store! On their birthday, Geoffrey’s Birthday Club members receive a personalized birthday card, a phone call from Geoffrey, and a special gift! Thanks to Geoffrey’s Birthday Club, I was able to purchase Andrea the gifts she wants at great deals AND give her an experience she’ll never forget! You can join Geoffrey’s Birthday Club by signing up at Toysrus.com/Birthday! Sign up is quick and easy. 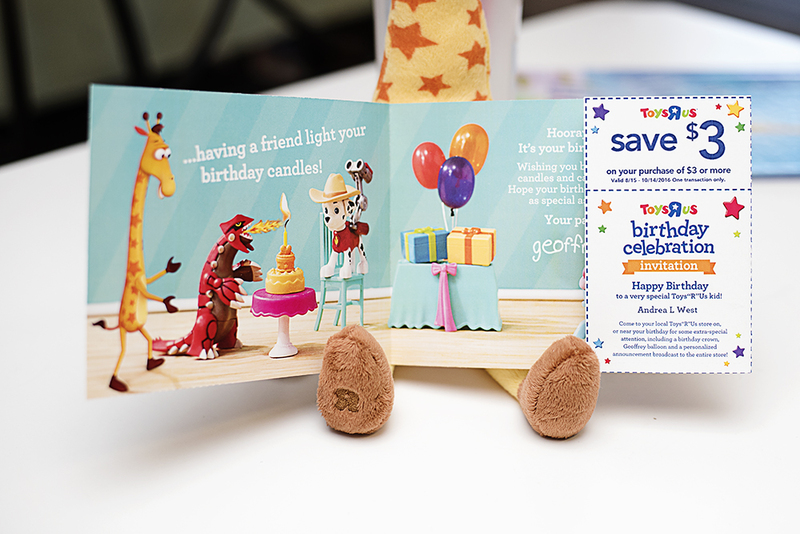 There you will also find information about upcoming Geoffrey’s Birthday Club events at your local Toys”R”Us store. The next event is scheduled for Saturday, August 20th from 3-4pm. Want to up the level of excitement for your child’s next birthday, and give them an incredible experience they’ll always remember?! Head over to Toys”R”US Website and get them signed up today! Disclosure : This post was sponsored by Toys”R”US. All thoughts are my own. ← Premier Protein $6.00 Off Sale at Costco!